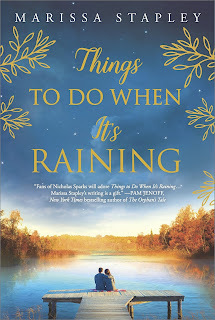 Things to Do When It’s Raining is a book that begins with endings. Mae Summers awakens one morning in her New York City apartment to discover that her fiancé is missing, their office has been cleared, and FBI agents are on his trail and the trail of the money that he defrauded from investors. Mae is not implicated in his crime, but discovering that her life, personally and professionally, was founded on lies is traumatic. In the same city, Gabriel Broadbent leaves the restaurant where he has just signed the papers ending his marriage to seek solace in a bottle. In Alexandria Bay, New York, the town where Mae and Gabe grew up as childhood best friends and first lovers, Mae’s grandfather, George Summers, has left Lilly, his wife of sixty-seven years, and their once successful inn, to take up residence in a local hotel. It is also a book about secrets—secrets between husband and wife, parent and child, friend and friend, secrets that protect and secrets that destroy. Mae returns to her hometown on the St. Lawrence River to find the stable ground of her childhood shifting. Gabe returns reluctantly, summoned home by George Summers because Gabe’s abusive, alcoholic father is dying. Mae and Gabe reunite in the face of tragedy, but just as it seems that they may have the future they once dreamed of, complications test their relationship. Gabe’s sense of unworthiness pushes him to leave Alexandria Bay and Mae again. Can they overcome the effects of the past and trust their love to endure through the vicissitudes that are an inevitable part of life? These events play out against the backdrop of the river that is both a powerful part of the story and a metaphoric thread linking past, present, and future. First, romance readers should be aware that this novel is not romance fiction. Mae and Gabe’s love is intense, but it is just one part of the story that includes their separate journeys and the stories of their parents and of Mae’s grandparents. Parental love and its failures is as much the emotional center of the novel as romantic love is. Some readers may find the structure and the large number of characters confusing, but others may enjoy the novel’s greater complexity. One of my favorite things is Mae’s realization that she can save herself and that, although she loves Gabe, she can survive on her own. Stapley’s prose is another of the book’s strengths. Some passages possess a lovely, haunting lyricism. And the epilogue should please readers who want the reassurance of a conventional happy ending. I wavered on the ranking for this book. Objectively, I can see its merits, and I know many readers will find it a rewarding read. 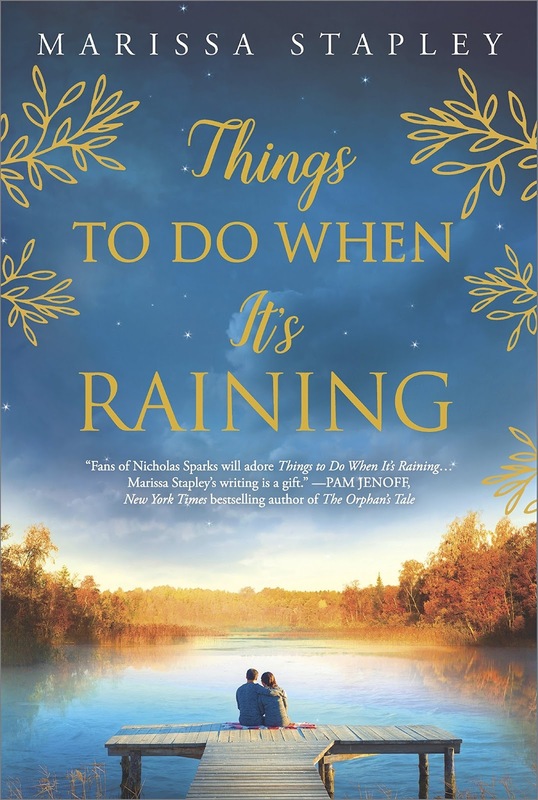 I’m not a fan of Nicholas Sparks, but I think if you are a reader who appreciates his books, you will probably enjoy this one. Frankly, I think Stapley’s prose is superior. But this book was just not the kind of read I am looking for these days. I hope the three stars reflects my appreciation for the book’s clear strengths and my conclusion that it is not my cup of tea. Loved the review <3 I always appreciate honest, objective reviews. I wanted to thank you. I appreciate your description and explanation. It sounds like a terrific book on many levels, just not a terrific book for me. I have anxiety and this much angst would not be good me. Years ago I loved reading Nicholas Sparks but not anymore. I need to stay positive and I would have loved a HEA. The book does sound interesting, but I would have to be in just the right mood to read and enjoy it. I rarely enjoy the angst found in books like this and those by Nicholas Sparks. I don't like coming away from a book depressed and uplifted. If I want that, I will read non-fiction or current events. Patricia B.